Having a fish tank in your home/office can be quite awesome and immense way to create such a relaxing mood in your home or office. You watch the swimming scene of fishes in such tanks and according to some reports, it can help you to reduce stress and control the blood pressure level. If you want to enhance the interior décor of your home, then having a fish tank inside your home can be the best idea. You can utilize the idea of the fish tank to design a more pleasing and comfortable place to spend your life means inside your home. It is necessary for you to design such fish tanks correctly; in case you want to make it friendly for the fishes. You can keep different kinds of fishes in the fish tank as according to your desires. Before keeping the fishes inside the fish tank, make sure that your fish tank has all the essential things and properly cycled. This can be stressful work for some people to decorate their fish tanks. But, actually, it doesn’t take that much time and doesn’t give much stress if you follow the fish tank decoration ideas. How You Can Make Fish Tank Friendly for Pets? You can use small stones for making the base of the fish. 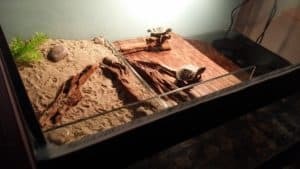 If you want a sandy bottom of the fish tank, then you have to purchase some sand substrate or use sand from river bed. Colorful stones and gravels can be your preference if you desire fish tank to look colorful and dazzling. Most of the time, you have to choose the stones as according to the fish type. Some fishes need sand to dig in or hide. For some fishes bare bottom is the right way to go. If you want a planted tank then you need commercial substrate or aquasoil for the plant base. You can create a beautiful aquascape with live plants and rocks in your fish tank. In the case, when you totally want to make your fish tank special, you have to pay your attention towards the background film. According to your desires and types of fishes, you can choose the best fish tank background film or sheet. If you are having an aquascaped aquarium then it is wise to use black or semi-transparent white background to pop up the tank like a charm. Never keep sharp object in the tank. Many things like lime rocks, dead corals or sea shells in the tank. It will increase the pH of the tank and alter the water chemistry which could be deadly to it’s inhabitants. Oxygen breath pump is the actual decoration and essential tool of your fish tank. Though it’s some times called oxygen pump but it in fact doesn’t inject oxygen in the tank. Rather it pumps air which creates surface agitation and as a result gaseous exchange happens at the surface. This creates oxygen rich water which is essential for fishes. But if you have a planted tank perhaps you don’t need an air pump. The plants will inhale CO2 and after photosynthesis they will exhale oxygen in the tank. 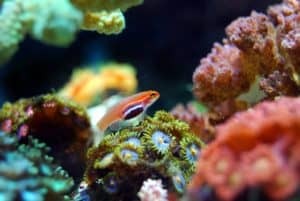 Therefore, you can follow these 5 upper listed ideas to make your fish tank friendly for fishes/pets. 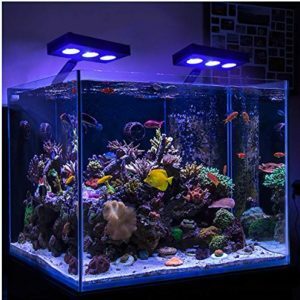 Always prefer the decoration items of the fish tank as according to the types of fishes you want to keep inside the fish tank. Your first fish tank could be a freshwater community fish tank. Different size and shapes are available in the market. You should go for the largest tank that your space permit. 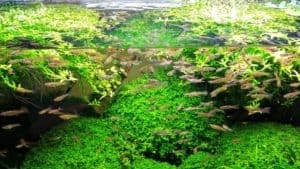 Though it may seem stressful to setup a large tank but there are many benefits of having a large tank. The water chemistry doesn’t fluctuate rapidly in a large tank. Also after the tank is established it is easier to maintain. If you are thinking about your office space then a small betta tank is the right way to go. But even betta fish tanks should be big enough for the fish to thrive. This could also make your fish tank look cool and beautiful. You can decorate your fish tank with plenty of stones. Likewise, you can put some real looking plants or in fact real plants also inside the fish tank. With dragon stone or ohko stone you can create a piece of nature inside the fish tank. Also bogs or woods make it more natural and visually pleasing. Light plays the most vital part for the visual appeal of your fish tank. 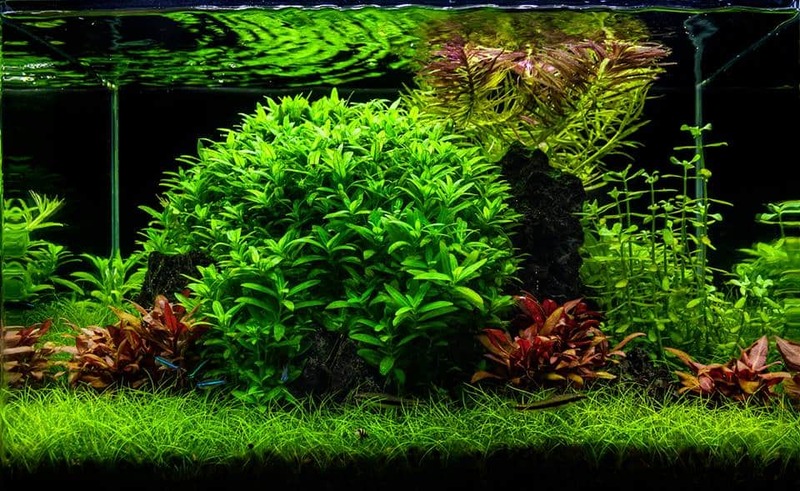 If you are going for a planted tank then there are lots of awesome options available in the market depending upon the species of plants you are planing to keep. Different plants have different requirement of light. 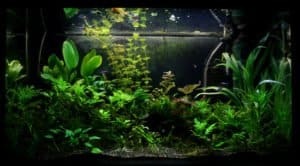 If it is a non planted tank then there are also many colorful lighting options to focus on the colorful fish and make them glow. Most of the times, you don’t keep the fish tank at the correct or ideal place of your home. That is why fish tank can look featureless or unsightly. First of all, after decorating your fish tank, you have to decide the place where you want to put the fish tank. Choose a location or place of your home, where you usually greet your visitors. This simple thing can present your fish tank in a beautiful and attractive manner in front of the guests or visitors. Nature aquarium is an art and a living ecosystem. Nature Aquariums has a selective choice of wood, stone, living plants and fish to create an enchantment that is not soon forgotten. On the other hand, a biotope is an area of uniform environmental conditions providing a living place for a specific assemblage of plants and animals. 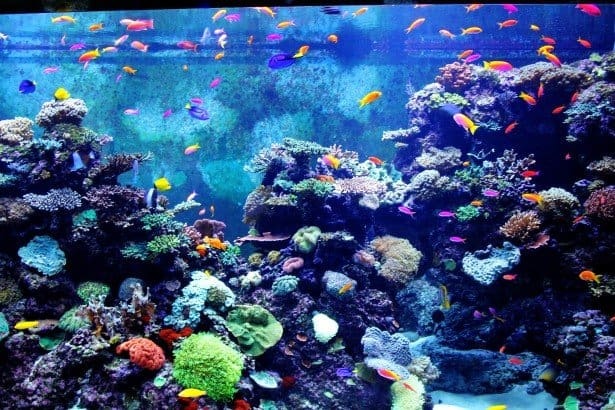 You can go with the craze of recent time and create a salt water aquarium to accommodate sea lives inside your tank. Even a nano coral reef tank can be an awesome idea to go for. Whichever type of fish tank you want it is absolutely possible to create inside your house or office. Patience and knowledge are the keys for a successful display fish tank. Decorate your tank as you wish but keep in mind the requirements of it’s inhabitants and their well being. And last but not least – Happy Fish Keeping! I like that you suggested using plenty of stones and some real looking plants to decorate your fish tank and make it look natural. My sister and I do actually have a reef tank which we’d like to look a real body of water. We’d like it to look fantastic and appealing, so we’ll consider the idea of shopping for ricordeas. Thanks!